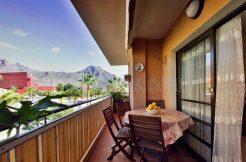 The old Bellavista apartments in Puerto de la Cruz leave behind the three keys to become a four-star establishment for adults only. 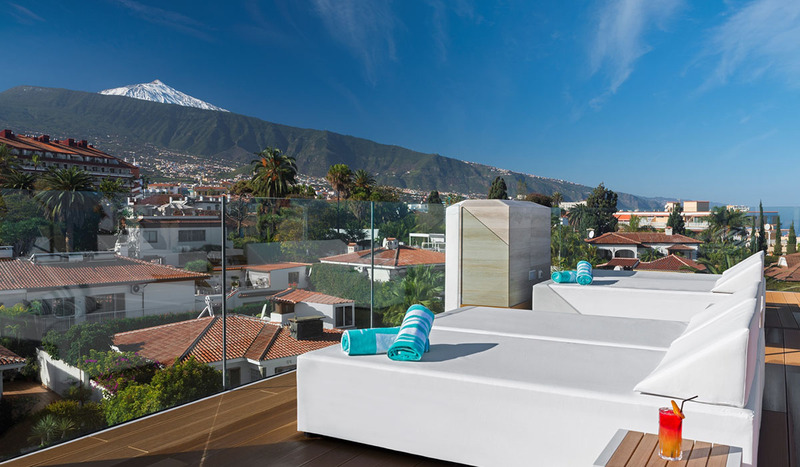 Atlantic Mirage Suites & Spa officially joins the quality hotel offer in Puerto de la Cruz, after addressing the parent company, Marylanza, the integral renovation of the old Bellavista three-key apartment complex, located in the La Paz area . The reform lasted for 10 months and the investment reached 10 million euros. In tune with the renovation strategy of the lodging plant of the city cradle of tourism in the Canary Islands, Atlantic Mirage has become a four-star hotel focused on the segment adults only and will double its staff (about 75 people), once incorporated all the staff. The establishment, associated with Ashotel, was officially inaugurated last Thursday by the Canarian president, Fernando Clavijo; his counterpart in the Cabildo of Tenerife, Carlos Alonso, and the mayor of Puerto de la Cruz, Lope Afonso, in addition to having the event with other public officials in tourism areas and representatives of private entities linked to the sector. All of them agreed that this is a great bet for the municipality and all the public administrations that have been working to reposition it as a tourist destination. The works consisted in the total renovation of the rooms and general facilities, by redesigning the spaces and the elevation of the pool at street level, converting the roof into a solarium terrace with bar chill out and creating of new services, such as a complete spa, a state-of-the-art gym, an indoor pool, a haute cuisine restaurant and a lounge bar. The establishment has 172 junior suites and 6 suites of about 26 square meters, all with balconies with privileged views of the sea from the cliff of Martiánez. It is aimed especially at the German, British and Nordic markets, as well as national, mostly in a half-board regime. The situation of the Atlantic Mirage, in the La Paz urbanization, allows its clients to have a broad vision of a good part of the La Orotava Valley and the tourist area of ​​Martiánez. Gastronomy will also be a strong point of the hotel, as an added value of a destination that understands that experience is one of the aspects most valued by tourists today. Thus, it will give importance to the quality of the raw material, to the use of fresh local products and to a careful presentation. A unique hotel, completely re-invented which offers the best and most modern facilities in the surrounding area. A perfect blend of old and new resulting in an original, state of the art hotel perfectly integrated into the unique Puerto de la Cruz landscape, thus maintaining its essence. 4-star Atlantic Mirage Suites & Spa opened on the 16th of December 2017 as a result from the complete refurbishment of the former 3-star Aparthotel Bellavista Mirador. The work took 8 months and meant an investment of 10 million Euros, consisting in the total renovation of the rooms and the general facilities, redesigning all the areas, including the elevating of the pool to street level, the transformation of the rooftop into a solarium terrace with a chill-out bar and the creation of brand new services like a complete and exclusive spa, a state-of-the-art gym, an indoor pool, an “haute cuisine” restaurant and a lounge bar. The hotel means without a doubt a new model of hospitality in the destination.